Help us to update this page. 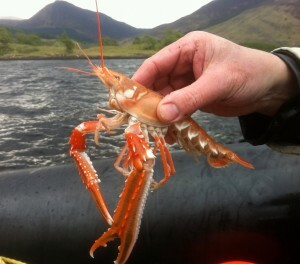 If you are a fisherman and know more about fishing in the wider Glencoe area, please share your information with us. Where are the best spots to fish – sea, river, hill lochs? Are these spots free to fish, or if permits are required, where can these be bought? What type of fish are you likely to find? Email us with any useful information and photos – our address is at the foot of this page. Tool and Tackle in Ballachulish are our local fishing shop. They stock various rods, reels, lures and everything else you will need. You can also rent equipment from them. Seaxplorer run various fishing trips on Loch Leven. Contact them to book a trip. Or if you just want to fish from the shore the local sea lochs are freely accessible and mackerel, sea trout and pollack are commonly caught from the shore. There are many opportunities for fishing in the area, although in some areas there are restrictions or permits required. You can try your hand at fly fishing at the stocked trout ponds at Torlundy Farm, just outside of Fort William. The views of Ben Nevis can be spectacular!